ALSA has finally plugged a horrendous gap in their schedule, with a (limited) bus route between Toledo and Granada. This is subject to change. Confirm and book tickets on the ALSA website. If you need to travel on a different day, or if this service is dropped, then read on for the other, more awkward, ways of getting between Granada and Toledo. Use these services if the ALSA route above is no longer running. Granada to Ciudad Real by ALSA bus, departing Granada at 11 am and arriving in Ciudad Real at 3 pm. Journey time: four hours. Price: 14€. Ciudad Real to Toledo by Aisa bus (note, this is Aisa with an 'i', a different company to ALSA with an 'l'). There is a bus at 4.15pm that arrives in Toledo at 5.15pm (Monday to Friday only - bus departs 30 minutes earlier on Saturdays). Journey time: one hour. Price: Approx 10€. The website bus numbers are incorrect. I spoke to their operator and the bus number is 82. Total time: five hours traveling plus one-and-a-quarter hours of transfer time. Price: approx 25 euros. The reverse is also possible: take the bus from Toledo to Ciudad Real at 7.15am (arriving at 8.45am) or 9.30am (arriving at 11.25am), Monday to Friday only. The bus from Ciudad Real to Granada departs at 1.30pm and arrives at 5.30pm. 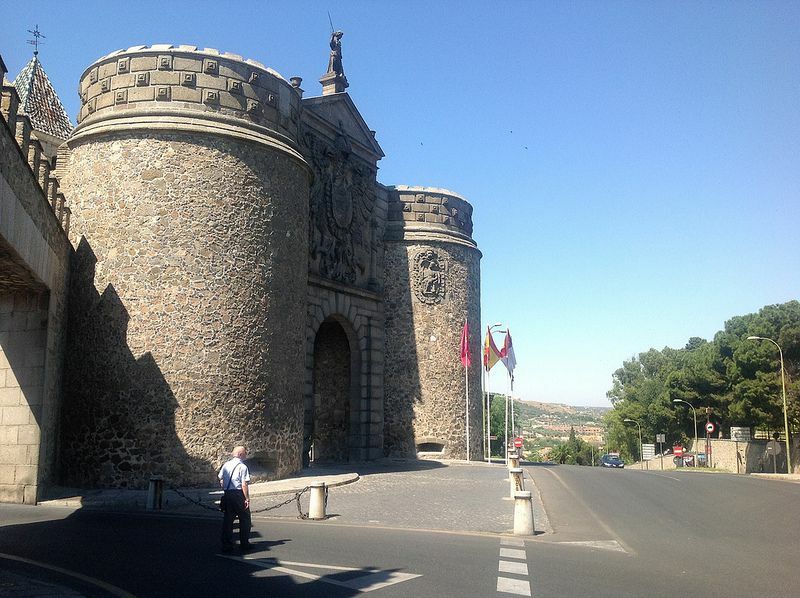 Traveling from Granada to Toledo via Madrid is frustrating because you have to go past Toledo to get to Madrid before coming back on yourself, but Madrid is a more interesting place than Ciudad Real. Consider staying in Madrid for a few days before going to Toledo. Granada to Madrid by bus takes five hours and costs 17 euros (the train is only half an hour quicker and costs more than triple the bus). There are buses throughout the day. Book the bus from Movelia. Madrid to Toledo by train takes 30 minutes and costs 10 euros, but requires a transfer from Madrid's Mendez Alvaro bus station to Madrid's Atocha train station. Book the train from Rail Europe. Total Time: five-and-a-half hours, plus transfer between Madrid's bus and train stations. Price: 27€.